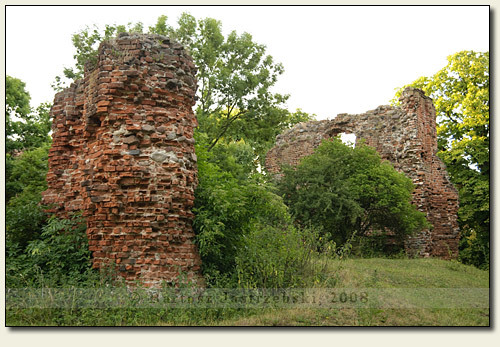 Admission: The ruins are on the private grounds enclosed by an electrified fence. Possible entrance must be arranged with the owners. Driving down the road no 2 from Koło to Kłodawa you cross Borysławice. There you should turn right to Ponętów, drive through Borysławice Kościelne and keep following the main road. About 100 m before its end, by the house with no 10, you have to turn right, into a dirt road among the houses. After covering around 500 m the ruins are visible on the right side by a stone-paved road. 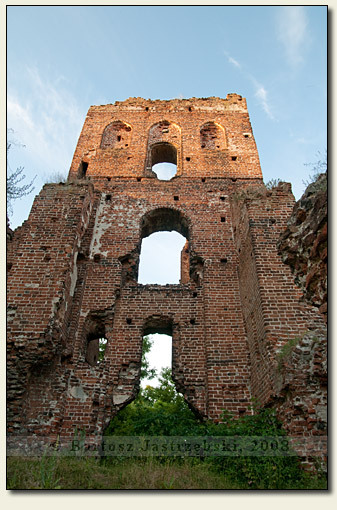 Construction of the castle in Borysławice Zamkowe is attributed to Wojciech Jastrzębiec, the bishop of Poznań, Cracow, and the archbishop of Gniezno. It was a family mansion, and the construction works were begun in the 20’s of the XVth cent., which confirm the documents from 1426, which mention a castle chapel. 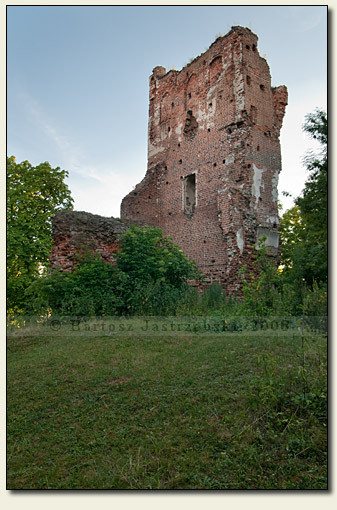 The successive owners of the village were the Rusocki and the Szczawiński families who, which rarely happens, did not reconstruct the castle in a considerable way. 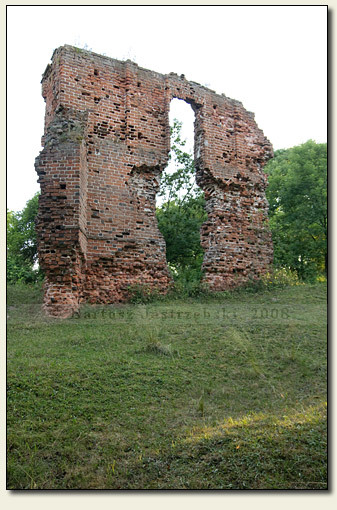 The structure was demolished in time of Swedish wars and it has never been restored to its former appearance again. Even so, an inventory from 1726 mentions that the castle, empty though, still possessed a residual equipment (i.e. paintings and stoves).